Aurora and spaceport in Arctic. The last night in Andenes gifted us with beautiful northern lights. Here in Northern Norway you can see northern lights 1-2 times per week during wintertime. There are three main things should be present for seeing northern lights: Earth geomagnetic activity, Sun activity and clear sky. 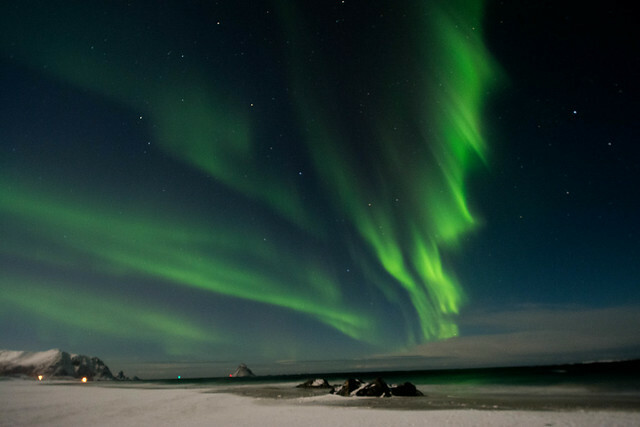 The Northern lights reasearch station is placed near Andenes town. This guys have a small spaceport and they send probes into high atmosphere layers. Spaceport in Arctic, sounds romatic, isn’t it?